Half a dozen influencer marketing figureheads have been appointed to the newly launched Business of Influencers board (BOI). The influencer marketing space is still widely regarded as a 'wild west', and the BOI seeks to mediate the space for both influencers and agencies. The board will represent the voice of the influencer marketing landscape at the highest level. 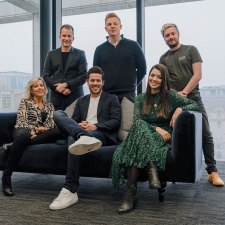 The six members of the BOI are: Ian Shepherd (Social Store), Harry Hugo (Goat), Liam Chivers (OP Talent), Ana Thorsdottir (MediaCom), Ben Jeffries (Influencer) and Laura Edwards (Viral Talent). “It’s important to ensure these major decisions are made by smart people who are knowledgeable about Influencer Marketing and the industry in which it operates," said former Disney business development director and BOI founder Ian Shepherd. "Having already established the BOI community, the board will serve as an advisory committee to agencies, brands, start-ups and influencers. As this exciting industry develops at pace, it will be crucial for us to maintain a collective voice. The board has gained the support of the ASA, as well as a number of online creators. YouTube star Alastair 'Ali-A' Aiken commented on the formation of the BOI, saying that "Despite having my business for years, it can still be a challenge to work in this area due to the unclear ways of working and regulations". "As Creators, it’s important for us to have a body that ensures we are heard but also helps us collaborate with brands and agencies more effectively on their business goals. I’m excited to see the BOI take Influencer Marketing to the next level.” Aiken added.